On Monday 7 April 2008, the Defence presentation for Dr Andrew Wakefield at the General Medical Council MMR Vaccine Trial UK concluded, culminating in massive incidence. The Defence presentation has demonstrated that the position always maintained by Dr Wakefield of there being no conflict of interest, no issues relating to funding, that the investigations of these children were clinically justified and that the research was ethically approved has been very clearly established. Judging from the floor to ceiling, wall to wall files cladding either side of the long rectangular room in which the General Medical Council (GMC) Hearing is taking place in the glass/concrete building off central London’s Euston Road, trees have been felled and a dedicated sector of the Amazon Rain Forest decimated to put this political farce in place. We’re not talking carbon footprint here, we’re talking about a jolly great big carbon thump in so many respects. As I have cast my eyes down this long and intimidating GMC Hearing room, I have often wondered just how many billable hours per person are being charged by this people mix over these many months, until the numbers of mounting figures swim before my eyes. This is a political show trial for the vaccine industry for which no electorate-paid-for expense is being spared. It matters not that no parent or child has complained against Dr Andrew Wakefield and that demonstrations of families devastated by vaccines and autism have been providing overwhelming support. To protect the vaccine industry, the Big Pharma Show must go on. Big bucks are at stake here and many reputations. The evidence bomb detonated by Dr Wakefield’s barrister Kieran Coonan QC on that final day of the Defence presentation will have implications for the General Medical Council, the UK New Labour government and The Lancet medical journal et al as one of the most damning abuses of legal process that will reverberate throughout the UK and abroad for a very long time. It will also starkly serve as a substantial diary chapter being kept by the electorate regarding the government’s ‘How To’ manual of wasting British taxpayer’s money hand over fist. According to correspondence and papers now revealed at the GMC Hearing on Monday, Dr Richard Horton, Editor of The Lancet journal that published Dr Wakefield’s controversial paper in February 1998 (1), knew almost a full year prior to The Lancet publication that Dr Wakefield was involved in assembling medical evidence from the lawsuit for children damaged by the MMR vaccine. This goes totally contrary to the evidence that Horton gave under oath to the GMC in 2007 stating that he was completely unaware of Dr Wakefield’s involvement in the MMR Vaccine Class Action. One of the primary reasons that this GMC Hearing is being held is precisely because Dr Horton subsequently accused Dr Wakefield of concealing this crucial involvement in the MMR litigation leading to the accusations put forward by journalist Brian Deer his Sunday Times article entitled Revealed: MMR research scandal (2), 22 February 2004. The entire panoply of this saga is most ably illustrated in the JABS Briefing Note 9th April 2008 (3), currently being distributed widely to the media and many other interesting parties. “The GMC should have no option but to re-question Dr Horton in the light of the new evidence, to try to get to the bottom of what he and his staff knew and when they knew it, and why they apparently subsequently stopped knowing it! “JABS believes that Dr Wakefield has been falsely accused ever since by the Department of Health, the medical establishment and the Sunday Times of deliberate concealment, something that he has always denied. Dr Wakefield has always openly confirmed his involvement with the MMR legal action, and the new evidence now fully supports him all the way back to early 1997. “A further deeply unsatisfactory feature is that Dr Horton has never disclosed that his boss, Sir Crispin Davis, chief executive of Reed Elsevier, was appointed a non-executive director of MMR defendants GlaxoSmithKline in summer 2003 only a few months before the Sunday Times article in February 2004 that accused Dr Wakefield. For the full text of the excellent JABS Briefing Note, click the link. I urge you all to read this. It would seem to many that either Dr Horton has elected to make erroneous claims in this case for the last four years or his forgetful senior moments have reached such a crescendo that they must have coalesced into a form of Alzheimer’s. If Dr Horton’s evidence to the GMC is shown to be knowingly at variance with the facts, the calls for his resignation as Editor of The Lancet will become a cacophony. Either way, the case against Dr Wakefield and his colleagues so accused is now tottering like a pack of damaged cards being played out on the deck of the GMC Titanic. 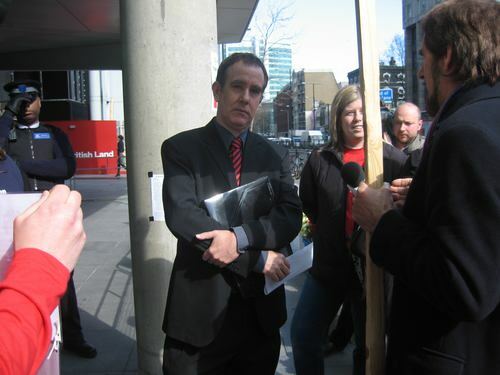 The GMC Hearing against Dr Wakefield and his colleagues Professor John Walker-Smith and Professor Simon Murch has been a political three-ring-circus with the overarching objective of shoring up the UK New Labour government’s defence of the MMR vaccine, whilst attempting to air-brush the children damaged by this vaccine out of history from the start. It is the case that not one of the safety trials on the MMR vaccine followed up the children for more than six weeks and in the majority, no more than three weeks (5). Moreover, no research has been conducted as to what effect the barrage of vaccines injected into the unformed immune systems of the very young has had. Instead, we have 1 in 100 children in Britain diagnosed with autism. Constantly forced is the utterly untested theory put forward by the pro-vaccine lobby that whatever the cause of autism, it cannot possibly be vaccines. With the evidence in front of us today from around the world, this is a very risky proposition in which to place such trust. One must question how many biochemists, physiologists, toxicologists or anyone trained at the Ph.D. level in biological research would disagree that the combination of toxic vaccine ingredients (6) multiple injected into the unformed immune systems of the very young can do anything but set up a toxic exposure for children. It is shocking to note that in the United States for example, the pro vaccine lobby largely consists of mostly self-trained third rate epidemiologists retained by the entirely discredited CDC and the American Academy of Pediatrics (AAP). These organisations are enjoined to promote vaccine policy for which both receive massive financial support from the vaccine manufacturers themselves. One hand washing the other doesn’t even begin to describe it. It is becoming increasingly difficult for the general public to place much trust in so many of the products so lucratively marketed by the pharmaceutical industry and promoted by doctors that far from benefiting our health, so often maim and kill. With investigations currently being conducted into Avandia, Abilify, Singulair, Vytorin, Seroquel, Zyprexa, Zetia, Champix, Prozac, Paxil, Seroxat and Pristiq and a whole host of other drugs besides, vaccines included, it requires an extraordinary placement of blind stupid faith to imagine that vaccines are the holy medical grail entirely untainted by profit and malfeasance. The evidence mounts every day to show the contrary. The Federal Court in the United States recently conceded the vaccines/autism link (8) in the case of 9 year old Hannah Poling. This news hit the USA like a breaking Katrina. Celebrity Mum Jenny McCarthy wiped the floor with the American Academy of Pediatrics (AAP) over their one-size-fits-all vaccine policies on Larry King Live national television with the result that 85% of Larry King viewers think that vaccines and autism are related (9). During the Larry King show, Jenny announced that she and Jim Carrey will be leading a march for autism awareness in Washington, D.C. on June 4. With this enormous storm brewing and breaking from coast to coast USA, the British media has singularly failed to make mention in any national coverage of note the fact that the vaccine/autism link has now been conceded. In Britain, the UK New Labour government’s links with the pharmaceutical industry via the National Health Service, the Universities, research funding and the general gift-giving and bribing that goes on in so many insidious ways at every level have ensured that this news must at all costs be concealed by the media from the public. This is especially true at this time with MMR Vaccine Trial and autism proceedings on their doorstep. With investigative journalism in Britain now killed off by the sound bite, with money changing influential hands at every turn and with vested interests paramount, the Flat Earth News book (10) written by award-winning reporter Nick Davies and published in 2008 has served to open many closed eyes. Courageously and relentlessly exposing the workings of the media to the glare of the factoid sun, Davies highlights the sophisticated new techniques of the PR industry and of a new machinery of government propaganda, both now manufacturing pseudo-news on a huge scale. The idea that the media is anything like a reliable source of information is entirely out-of-date dead. The media so often encourages the public to believe stories that are entirely false and suppresses others that are true. Nowhere is this issue more relevant than in the case of journalist Brian Deer, the Sunday Times newspaper and a subsidiary investigation company of the Association of British Pharmaceutical Industry (ABPI), MedicoLegal Investigations (MLI), that have constructed the subsequent prosecution of Dr Andrew Wakefield with the GMC. For anyone who wants to get a handle on the true facts and right up Deer’s nose in the process, perusal of The Complainant should be mandatory reading. On the final day of the Defence presentation for Dr Wakefield, I entered the GMC Press Room to discover Deer holding court over what he clearly perceived to be his case with the assembled media. Comfortably sprawled in lounging lizard position, Deer was lecturing the press on his view that Andy Wakefield, the good doctor who has been put through the wringer by this journalist for nigh on five years, was actually enjoying this Trial and undergoing it for his own glorification. This extraordinary statement by Deer could not be let go without remark. I proceeded to ask this journalist so closely and personally intertwined with the case against Dr Wakefield some questions. Unfortunately for Deer’s credibility, it would now seem that the CLOWNS in this case may well turn out to be Dr Richard Horton of The Lancet and his staff, plus the GMC. The question of who is paying Deer then arose. At this point, people in the foyer piled in to the doorway of the Press Room to witness a fully grown male journalist attempting intimidate a press colleague and deploying classic bully boy techniques against a very small woman on her own. At this point, Deer aggressively put down the work of One Click. The cavalry then arrived in the welcome presence of a burly GMC security guard. It was me that they needed to protect, not Deer. A thank you from Jane to the extremely polite GMC security staff. Subsequently and later on in the day whilst having not uttered one further word in his direction and busy minding my own business watching the Wakefield Hearing from the Press Room, Deer called security on me AGAIN, citing claimed death threats and fears for his equipment. Is Brian hearing voices in his head, one asks? Guess what, Brian. I’ve had death threats too, quite possibly from the pro-vaccine lobby, but I don’t go around bleating about it in the GMC Press Room calling LOOK AT ME! Look at poor little victim me! I’m Brian! Try having a sick kid damaged by vaccines, Brian and then perhaps you really might understand what being a victim is all about. Interestingly, the only person’s equipment that got damaged that day was that of Polly Tommey, Editor of The Autism File. Having left her belongings in the Press Room whilst she went to conduct an interview in the foyer, two of the recordings destined for Autism Radio One were purposefully deleted by someone. I will leave One Click readers to surmise just who the perpetrator might be, who had the access and the motive. For confirmation details of this debacle, hear the most excellent radio broadcast from Autism Radio One, The MMR & Autism: Dr. Andrew Wakefield's GMC Hearing - An Update from London, Guests: Dr. Carol Stott and Jim Moody, Esquire from Polly Tommey (12). Stott’s and Moody’s summations encapsulate the trial situation beautifully. As a supposed media professional, Deer’s behaviour in the austere and formal setting of the MMR Vaccine Trial orchestrated by him was entirely execrable. The GMC has now categorically on the record refused to deny Brian Deer complainant status. They will simply not comment on Deer. So much for Brian Deer’s GMC back up. Who Is Paying Brian Deer? It has also now been confirmed on the record by both the Sunday Times and Channel 4 that Deer is NOT being paid to attend the MMR Vaccine Trial at the GMC day after day and month after month by either of these organisations, contrary to what he maintains. As a freelance journalist, Deer submits his copy and they either accept it or reject it and pay up or not. So just who is providing the wherewithal for Deer to pay his bills whilst he attends this trial day after day, week after week and month after month? Records show that Deer has not had a piece in the Sunday Times since July last year. Had I been given the opportunity, the further questions that I would have liked to ask before being so badly bullied by Deer include as to whether he has received payment from the Association of British Pharmaceutical Industry (ABPI), MedicoLegal Investigations (MLI) over this case. This is the haunting question. The only conclusion that can be reasonably reached from the debacle described is that journalist Brian Deer is considerably more than economical with the truth. He is a nasty, aggressive man, completely out of control and rapidly developing own-goal status for the pro vaccine lobby. A similar incident occurred with Deer outside the office of the General Medical on the 27 March 2007, at the start of the Defence presentation. Caught on film hectoring and lecturing the parents of the vaccine damaged autistic children, the parents are so frightened of Deer that they are scared to place this film in the public domain. It is a sad day when a newspaper such as the Sunday Times elects to associate itself with the likes of Brian Deer who has become notorious for his bullying of the parents of sick children and, it would seem, anyone who has the temerity to pose the most legitimate in a very calm and professional manner. This does not bode well for readers of the Sunday Times where Brian Deer will doubtless be attempting to place his vaccine lobby stories in the future. Perhaps the Sunday Times should take a close look at bias. Public interest and scientific progress demands that medical scientists are free to conduct and publish research and embark upon treatments into the autism-bowel disease link and vaccine safety independent of government and commercial interference. The One Click Group would like to wish Dr Wakefield and his colleagues, Professor John Walker-Smith and Professor Simon Murch every success in the UK MMR Vaccine Trial. The truth will out. A substantial proportion of it already has.